American millennials have taken the blame for everything from rising avocado prices to a decline in church membership. Apparently, they’ve even ruined divorce. In a strangely accusatory article, Bloomberg attributed the plummeting divorce rate in the U.S. to millennials. Many in this generation are waiting until they’re over 30 to get married, so their marriages are less likely to end in divorce. Kids today with their serious commitments and their solid relationship-building skills. Don’t worry, though — America’s long-held tradition of splitting up and remarrying and splitting up again is alive and well in many parts of the country. American married couples currently have a 39% chance of divorcing, down from about 50% in the 1980s, yet many impoverished areas have significantly higher divorce rates than the rest of the country. The following 20 towns have the highest divorce rates in the U.S. These micropolitan statistical areas have populations between 10,000 and 70,000, and an above-average number of divorcees. Brookings is in Curry County, Oregon, and it has the distinction of housing more divorcees than any other U.S. town its size. According to U.S. Census Bureau data, 20% of Brookings residents are divorced. Brookings is an older city, with a median age of 46.7 years old, so perhaps the lack of millennials has something to do with the high divorce rate. 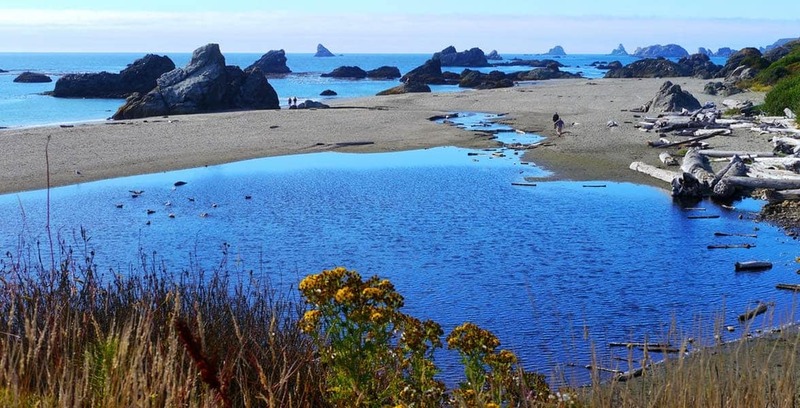 Brookings, Oregon, is a quiet coastal community with the highest divorce rate in the U.S. The Brookings area covers approximately 12 square miles along the coast and has a population of over 19,500 people. You wouldn’t guess from looking at this scenic destination and close-knit community that divorce is so prevalent. Taos is locally renowned for its skiing resorts and art galleries. It’s less well-known for its divorces, but census data shows that New Mexico’s Soul of the Southwest has more divorcees than most towns do. About 17.4% of Taos residents are divorced. The town also has an uncommonly high percentage of never-married singles — 32.2% of residents have never tied the knot. Maybe Taos residents are simply too artsy and adventurous to settle down for long. Or maybe low income is keeping singles from building a family. The median income for a household in Taos is around $31,000, and the per capita income is $15,983. All told, nearly 25% of the population lives below the poverty line. Despite the arid climate of the Mojave Desert, Pahrump has carved out a triangular oasis in Nye County, Nevada. Pahrump may not look like much from the outside, but its population of 37,000 people makes it the largest settlement in the county. It also happens to have the highest divorce rate in the area. Approximately 17.2% of Pahrump residents identified themselves as divorced in the census. 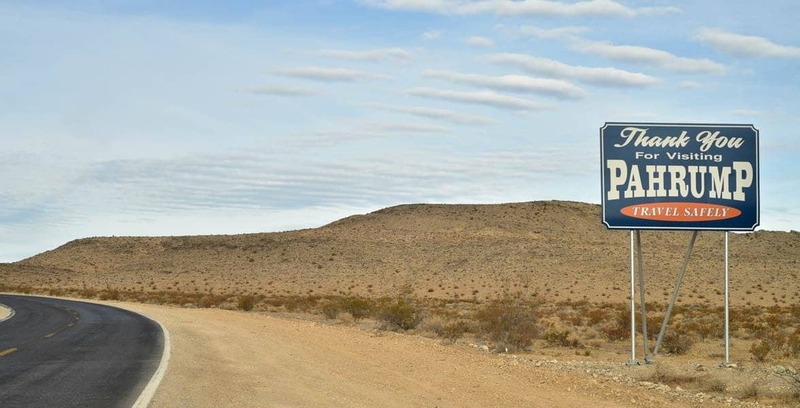 Pahrump, Nevada, has an overall divorce rate of 17.2%. Interestingly enough, the divorce rate is significantly lower among Hispanics (8.4%) and slightly higher among non-Hispanics (18.9%) in Pahrump. The town also has a large senior population, which may contribute to the high divorce rate. The average age in Pahrump is 53 years old, which is 15 years older than Nevada’s average age of 38. The South is big on family values, so it’s surprising to see good ol’ Tennessee on this list of broken and blended families. Nonetheless, McMinnville’s 17.1% divorced population puts it solidly among the most divorce-ridden townships in the U.S. The town has over 32,000 residents in a 10-square-mile area in Warren County. Again, poverty most likely plays a role in the high divorce rate in this sleepy area. The average household income is $30,136, and, unfortunately, 29.3% of McMinnville residents live in poverty. The overall U.S. poverty rate is 12.7%, so McMinnville residents are significantly less well-off than people in the rest of the country. 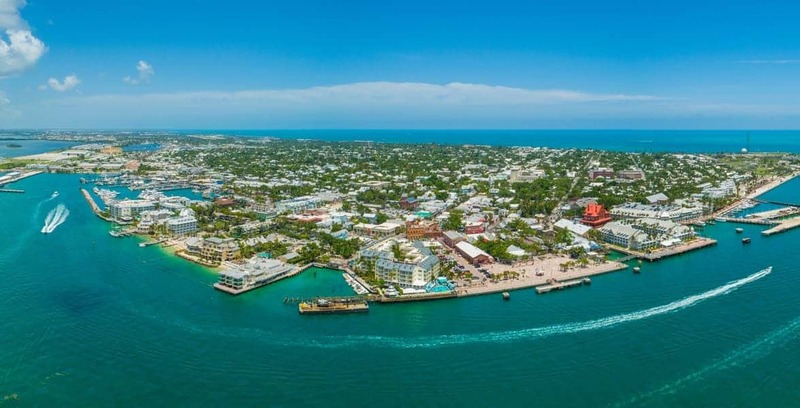 Most people think of Key West as a laid-back beach town and envy the locals who get to live every day in paradise. However, the high divorce rate in Key West suggests that it isn’t all sunshine and pie here. Only 47.3% of residents over 15 years old are married (55% of all Americans are married), and 16.9% are divorced with an additional 2% separated from their spouses. Many divorcees find a safe harbor and a new beginning in Key West, Florida. The Florida city has a total population of over 67,000 adults from coast to coast. The vacation destination may attract divorcees looking to start over and create a new life, or maybe carefree island life just doesn’t lend itself to relationship-building. After all, why anchor yourself down when you can float freely in such a beautiful area? Next on our list, we have Connersville, the largest and only incorporated town in Fayette County, Indiana. This is an old manufacturing town established in 1813 by John Conner. Over 19,000 people call Connersville home, and 16.8% of those residents are divorced. The state of Indiana is a traditionally conservative and predominantly white area with strong Midwestern values, and Connersville is no exception. So why the high divorce rate? It might be because Connersville is also among the poorest areas in the state with a median household income of $33,356 (as opposed to Indiana’s median household income of $52,314). 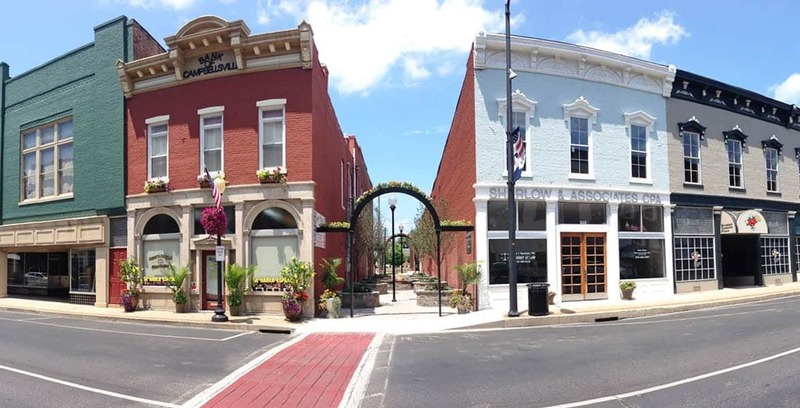 Campbellsville may be shaped like a heart, but its high divorce rate suggests that it isn’t all happily ever afters in this Kentucky town. Around 16.4% of residents are divorced, 2% are separated, and 7% are widowed. The town has a total population of 19,225 people, and 30.1% of residents live below the poverty line. The Campbellsville micropolitan area has the highest divorce rate in Kentucky. Campbellsville University, a Christian college, dominates the local culture and contributes significantly to the local economy. Campbellsville University’s annual economic impact for Taylor County in 2014-2015 was nearly $105 million. University students, staff, contractors, service providers, and other vendors spend more than $37 million each year with local businesses. According to its economic impact report, the university supports 1,343 jobs, which is approximately 13% of all jobs in Taylor County. New Castle is located just around the corner from Connersville, and this neighboring town has a similarly high number of divorced residents. Over 16% of New Castle residents are divorced, and only 47% are married. With over 40,000 residents, New Castle has twice as many people as Connersville, but the demographics are pretty much identical. New Castle is about 92% white with a median age of 42. The estimated median household income is $36,227, which has increased in the last 20 years. Manufacturing, healthcare, and retail trade are the backbone of the local economy, which has been growing. Still, about 23% of New Castle residents live in poverty. A troubling stat that may explain the high divorce rate in this area. Middlesborough is a micropolitan area that includes Middlesboro, Pineville, and the surrounding area in Bell County. This fast-growing area is in the southern part of Kentucky. The median household income is a paltry $23,428, and per capita income is $14,659. The unemployment rate is remarkably high at 9.4%. Manufacturing and retail jobs make up nearly one-third of Middlesborough’s employment sector. Not only is Middlesborough a relatively poor and working-class area, it also has an older population than the rest of the state (and the country). The median age for Middlesborough residents is 41.6 years old, while the median age for Kentucky residents is 38.7 (the median age in the U.S. is 37.8). All of these factors could contribute to the fact that 16.3% of Middlesborough residents are divorced. Located along the Pigeon River, Newport is a rural town surrounded by the natural beauty of Tennessee’s mountains and lakes. Some couples have carved out a life here and stuck together, while others have struck out on their own. Around 16% of residents are divorced and 4.1% are separated from their spouses. The Newport micropolitan area encompasses 443 square miles in Cocke County. According to the 2000 census, there are over 13,700 households here — 13% of which included women with no husband present. Palatka and Key West are both in Florida, and both have a high concentration of divorcees (over 16%), but they really couldn’t be more different. For one thing, Palatka is landlocked, and its economy is based on manufacturing, not tourism. In fact, 17.2% of the local workforce is in the manufacturing industry. 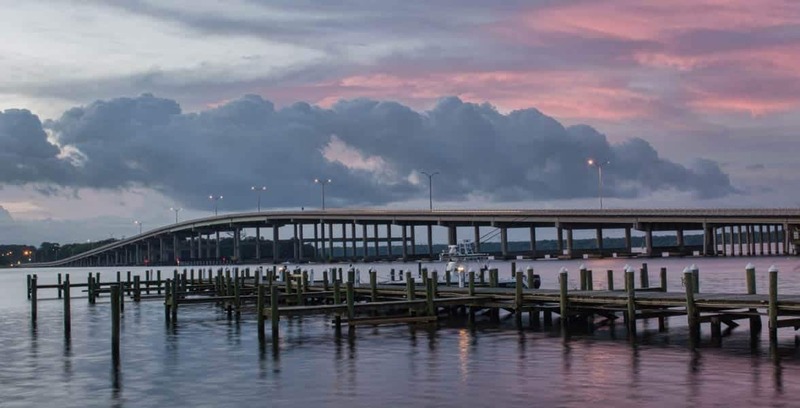 The Memorial Bridge that spans the St. Johns River connects East Palatka with the city proper. Palatka also has lower housing prices (mean prices are $158,368 in Palatka and $713,304 in Key West), lower per capita income ($17,438 in Palatka and $32,330 in Key West), a lower cost of living, and a more diverse population. Yet 16.2% of the 59,000 people in this area have been married and divorced at least once. Kentucky is getting a lot of action on this list. 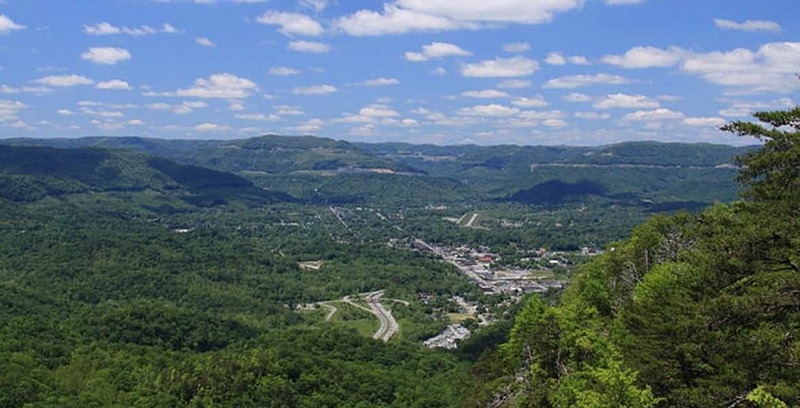 Somerset is the third Kentucky town to rank in the top 20 most divorced towns in the U.S. Somerset is actually wedged in between Campbellsville and Middlesboro in a distinctly rural part of the state. Pulaski County has over 52,000 residents, and 16.2% of them have been divorced, while 2.8% are separated and 8.3% are widowed. But it’s not all bad news — at least residents can get a drink. Somerset became a wet city in June 2012, meaning local restaurants and bars can serve alcoholic drinks. All other areas of Pulaski County are dry. Around 36.5% of Somerset residents live in poverty, and household incomes and employment rates are declining, so many folks down here could use a stiff drink to take the edge off. 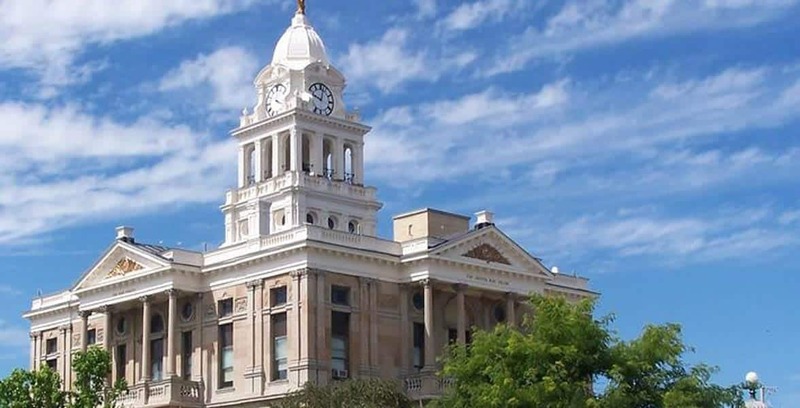 With only 10,500 residents, Vernon is a small micropolitan area in the big state of Texas, but what the town lacks in size, it makes up for in marital trouble. Vernon has one of the highest divorce rates in the country with 16.2% of residents identifying themselves as divorced and 1.6% as separated. 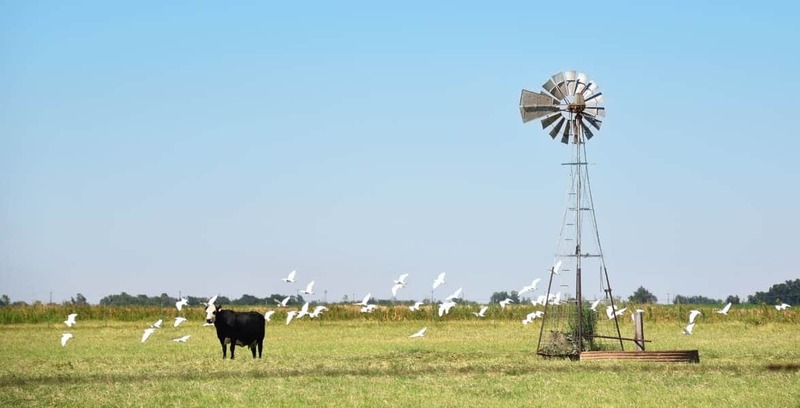 Vernon is a humble 8-square-mile town in North Texas. Vernon’s median household income of $42,215 is more than $14,000 lower than the median income in Texas. The poverty rate is significantly high as well. A quarter of Vernon residents live in poverty, and women without husbands make up 73.6% of poor families. Although Vernon’s official motto is “Steer Our Way!” it seems many couples in town have chosen to steer away from each other instead, and not all of them have fared well. According to the U.S. Census Bureau, only 47.3% of adults in Aberdeen, Washington, are married, and 16.1% are divorced. In the last few years, the city government has invested heavily in the town’s infrastructure in hopes of transforming the area into a retail hub and tourist destination. Perhaps this will also bolster crumbling family units by bringing more prosperity to a county currently dependent upon logging and fishing. The Gateway to the Olympic Peninsula employs over 6,602 people, and a majority of those jobs are in agriculture, forestry, fishing, hunting, and manufacturing. According to Data USA, the agriculture industry employs about 4.95 times more people than what would be expected in a town this size. Aberdeen may be a predominantly white and working-class town, but that’s rapidly changing as local officials emphasize a need for innovation, diversity, and social change. Aberdeen’s motto is “Come as you are” in honor of its most famous residents, Kurt Cobain and Krist Novoselic of Nirvana. Fernley’s micropolitan area has over 42,800 residents, 15.9% of whom are divorced. The median age is 40 years old, which is higher than the state and national average, so that may account for the high number of divorced individuals in this prosperous part of Nevada. About of Fernley residents are over 39 years old, which is older than the median age for the state of Nevada. 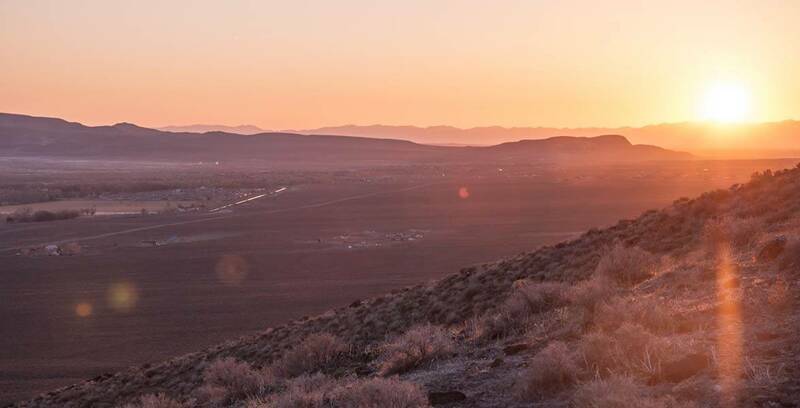 In 1904, ranchers and farmers settled in Fernley to make their fortune, and the Reno suburb has grown by leaps and bounds ever since. The population doubled from the 1960s to the 1970s, and then doubled again by the 1980s, and then doubled again between the 2000 and 2010 census. It’s no wonder why people settle here. Incomes are high, housing costs are low, and the economy is strong. Sounds like a great place for divorcees to start over. Madison, Indiana, is ideally situated on the Ohio River, which has been key to its economic growth. Madison has seen the job market expand 2.5% in the last year, and future job growth is predicted to be 40.2% in the next decade. Madison is historically a manufacturing town, but the city has made an effort to support small businesses and self-starters. It even has a guide for how to start a business in Madison. Though Jefferson County’s 26,943 residents have largely avoided economic strife, some have encountered marital strife at the Crossroads of America. Approximately 15.8% of Madison residents are divorced. Mount Sterling is home to nearly 37,000 people in its micropolitan area, which is known as the Gateway between the Bluegrass and the Mountains. It is slightly older than most Kentucky towns — the median age in Mount Sterling is 40.2 years old, while the median age in Kentucky is 38.7 years old. The median household income has risen in the last decade, but it still remains below the state average at $37,464. 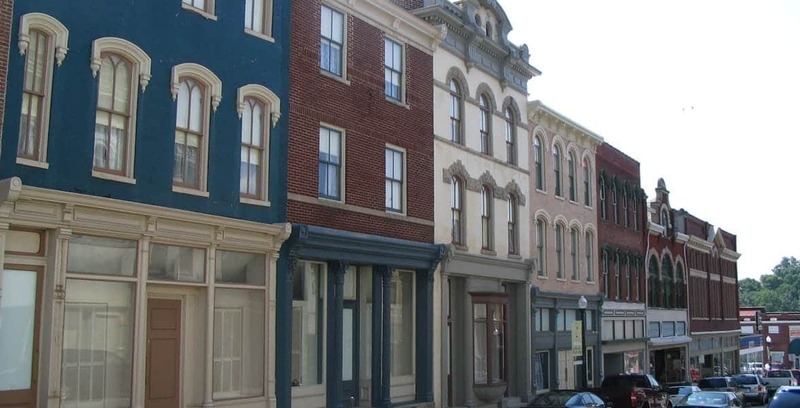 Mount Sterling’s peaceful and old-timey downtown area is on the U.S. National Register of Historic Places. The town’s quaint clothing shops, candy factories, and art galleries may wow visitors with Southern charm, but the divorce rate tells a different part of the story. Mount Sterling has the 17th highest divorce rate in the country with 15.8% of residents calling it quits on their marriages. An additional 3.2% of residents are currently separated. Indiana is making its fourth appearance on this list with Richmond, the county seat of Wayne County. Census data indicates that over 54,000 people live in this area, and 15.7% are divorced. Less than half (47.7%) of Richmond residents over 15 are married, so it seems locals aren’t very invested in settling down. In 1806, Quaker families established Richmond along Whitewater River. The Quaker’s loving philosophy may have laid the groundwork for the community, but trade and transportation truly made it thrive. Manufacturing jobs still make up a significant chunk of the local economy. However, incomes are currently down. The average annual income for a Richmond resident is $18,481, while the average for a U.S. resident is $28,555. In 2017, Ohio was ranked among the 10 U.S. states with lowest levels of well-being, a measure that captures how people feel about and experience their daily lives. Yet the state only shows up on our list once. Washington Court House in Fayette County has the highest divorce rate in the state and the 19th highest in the country. Approximately 15.7% of its 22,985 residents are divorced and 2.5% are separated. Not encouraging stats of Ohioans about to tie the knot. The City of Washington Court House, Ohio, is named after President George Washington. Overall, the career-minded fare better than the relationship-minded in Washington C.H., a common abbreviation for the town. The city offers tax incentives to local businesses that create jobs, raise wages, and invest in the future. As a result, the unemployment rate is holding steady at 4.1%, which is slightly lower than the employment rate in the rest of the state. Oregon bookends our list of the 20 towns with the highest divorce rates. We started with Brookings in the southern part of the state, and we’re wrapping up with Newport in the northern part. The Newport micropolitan area has over 40,000 residents, and 15.6% are divorced. Although Newport is known for its amazing seafood, it’s apparently hard for local singles to find a good catch. The Newport community prides itself on being “the friendliest,” but something fishy is going on with this high divorce rate. The culprit could be a large number of over-40 residents — the median age is 44.3 — or the high population density — 1151% higher than the national average. But the high divorce rate hasn’t dampened the Newport spirit. Many retirees move here for the nice weather and stay for the friendly community. To create this comprehensive list, we obtained data from the U.S. Census Bureau’s marital status reports for micropolitan areas. We used these stats to identify the towns with the highest percentage of divorcees in the country. We also sourced relevant economic, demographic, and background information from datausa.io, areavibes, City-Data, American FactFinder, Livability, BestPlaces.net, the Well-Being Index, and other local resources, including official city websites and press releases. General statistics about divorce in America came from Bloomberg and TIME.